It’s the world’s most visited fashion site, and we’ve never wondered why – the postman always rings thrice where our ASOS habits are concerned (then pops back for our free returns). Somewhere along the line, 2014 became the year of the skirt. The fuller, the swishier and the bolder the better, Betty Draper-esque midi skirts have been at the top of our most coveted list – and that’s partly because we discovered Chicwish. 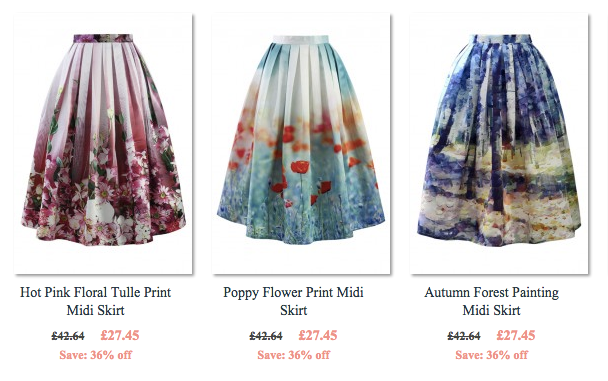 The Hong Kong-based site has some of the most gloriously printed circle skirts out there, for astonishingly good prices AND free international shipping, plus plenty of tops, frocks and other things too. The only downside is stingy sizing. 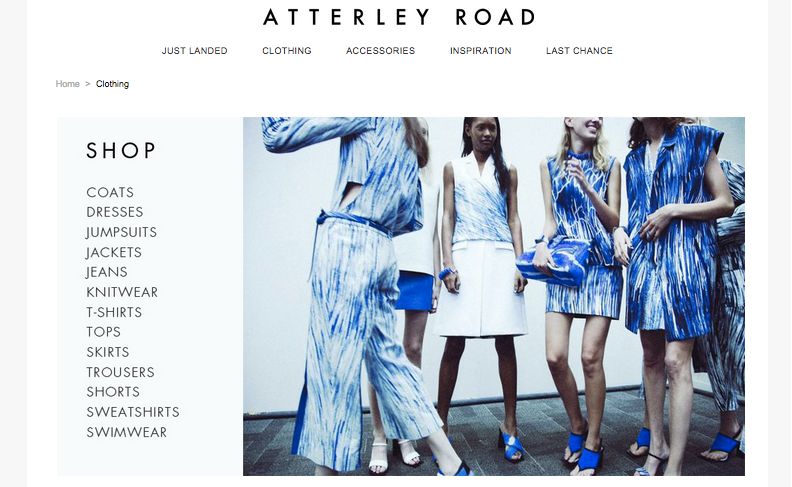 Ok, you may well have heard of Atterley Road – but if not, it’s high time you did. Billing itself as a virtual high street, the site aims to bridge the gap between high end and budget fashion, with a strictly-curated selection of items and labels. Think colour-blocking, tailored separates and dresses that look like Whistles but cost about £100 less. If ASOS’ sheer volume leaves you in need of a little lie down, then Atterley Road is the antidote. 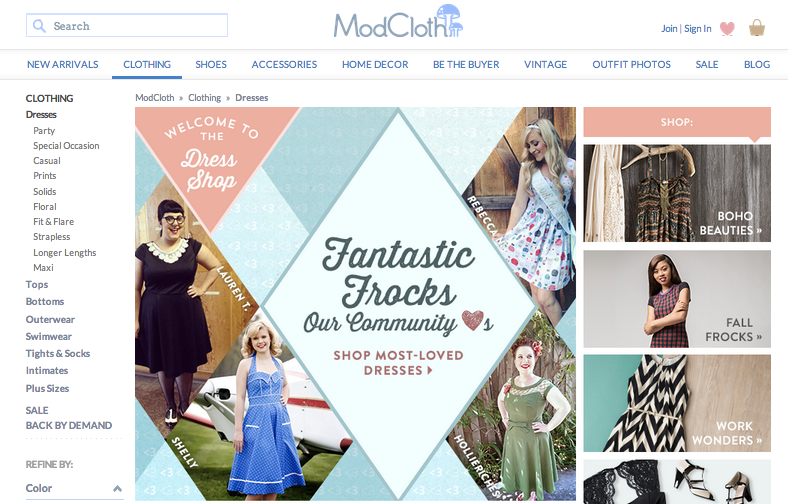 Beloved in the US, ModCloth specialise in recreating vintage styles for modern customers, with a huge range of flattering frocks in sizes from XS to 4XL, and gems of swimwear, shoes and home decor too. If buying from overseas stores makes you nervy, this one is reassuringly legit – they accept international returns, and have a great fan community who upload photos and measurements to help you decide. If that’s not enough, ModCloth is also the first e-retailer to sign an anti-Photoshop pledge (take note, Topshop) and launched its #FashionTruths campaign last week during New York Fashion Week, to demonstrate its commitment to bodily diversity among its models. Come to Britain please, dudes. 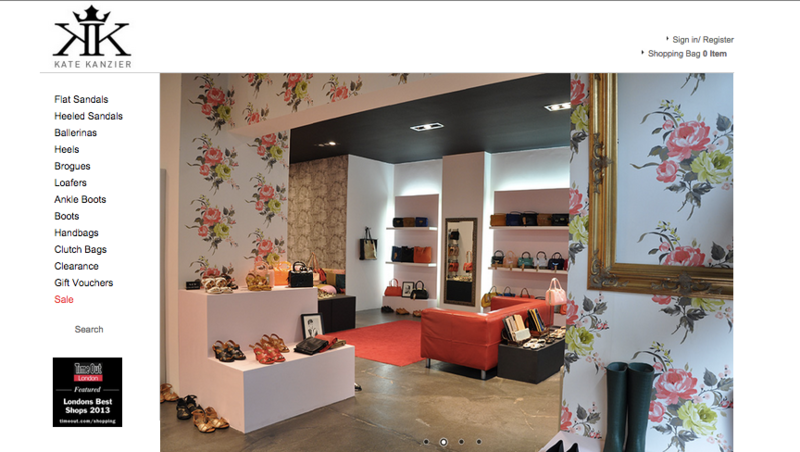 A London retail secret that’s still curiously well-kept despite a lot of love in the fashion press, Farringdon boutique Kate Kanzier designs exactly the shoes and bags you’ve been looking for on the high street and haven’t been able to find. Particularly great are the loafers, brogues and boots, which manage to be leather at distinctly non-leather prices. Tread quietly, we don’t want this one getting out. ‘I want to work with the female body, not against it,’ says London-based designer Coco, and that she definitely does. Supremely flattering but also rather fun, her micro collection of mini and maxi dresses are a glorious mash-up of Ossie Clark, Bettie Page and Dolly Parton. Think elbow-length sleeves, scooped necklines and pointy collars with bees embroidered on the tips. The likes of Daisy Lowe and Gizzie Erskine are fans, but starting at £59 they’re affordable on a mortal pay packet too. Slightly confusing but oh, so dreamy, Keep is pretty much Pinterest without the cupcakes and sunsets. Gorgeous clothing, jewellery, beauty and decor from across the web is ‘curated by tastemakers’, which includes us (if you say so, Keep) and anyone else who joins in by liking, sharing and ‘keeping’ their favourites. 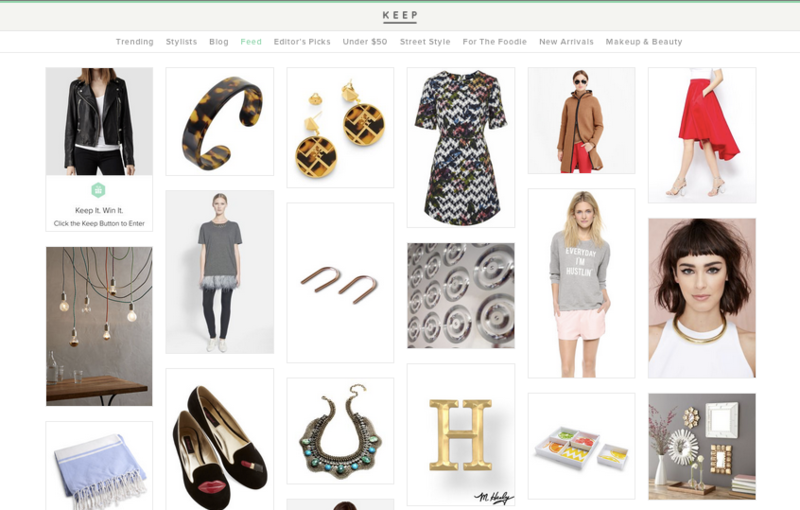 Better than Pinterest, everything is definitely available to buy online and prices appear on Keep too – so no more desperately chasing a pin around only to discover it hasn’t been on sale since 2008. Special mention goes to the Street Style and Under $50 sections too.